t’s a natural body-wash, lovingly created for you, the precious scent inspired by evening primrose flowers. 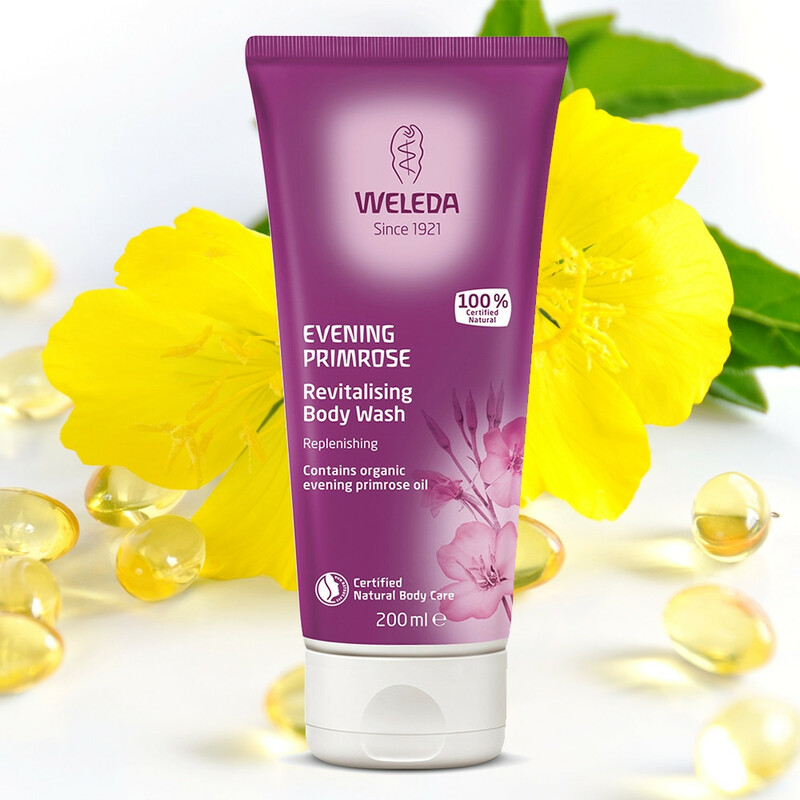 Valuable macadamia nut oil has special affinity with your skin and organic evening primrose gives you velvety-soft care and vitality. Bathe in fragrance and emerge radiant. Ingredients: Water (Aqua), Coco-Glucoside, Sesamum Indicum (Sesame) Seed Oil, Alcohol, Disodium Cocoyl Glutamate, Helianthus Annuus (Sunflower) Seed Oil, Glycerin, Fragrance (Parfum)*, Chondrus Crispus (Carrageenan) Extract, Macadamia Ternifolia Seed Oil, Oenothera Biennis (Evening Primrose) Oil, Panicum Miliaceum (Millet) Seed Extract, Xanthan Gum, Lactic Acid, Sodium Cocoyl Glutamate, Limonene*, Linalool*, Benzyl Benzoate*, Farnesol*.